Will Hibernation Damage my Laptop or Desktop Computer ? Maybe you've asked yourself or someone else the question above, but did you get the right answer to the question ? How would you even know if the answer is right or wrong if you don't know the answer ? This post will enlighten us more about the question above and the correct answer to it. Stay tuned and keep reading, I'm sure it will help you. First and foremost, What is Hibernation ? 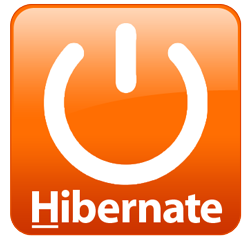 Hibernation is a convenient and quick way to turn off a Laptop or Desktop Computer without shutting down all the applications for a quick restart later. When you hibernate a Laptop or Desktop computer, it writes a complete image of its RAM to the hard disk and turns itself off. During this process, the Computer is using no power & it's completely off and turning it back on will be faster than a full reboot (not applicable to all PCs though). However, the ability to hibernate relies on support from the Computer's Basic Input/Output System (BIOS). The problem is that some BIOS aren't good enough when it comes to hibernation. So the answer to the question - "will hibernation damage my computer ? " is No (with further explanation). But note what I said earlier that there are some Computers with not-good-enough BIOS and not-strong-enough hardware for hibernation. Thereby, there is nothing wrong with always using hibernation as much as you like, unless you find that it doesn't work well for your Computer, or that problems result whenever you use it. Another thing to consider is for how long will the Computer be on the Hibernate mode ? As far as am concerned, I always hibernate my Laptop PC for 3 days and even up to a week sometimes and that's not too long for hibernation. After a couple of days, I'll just install any new Windows update and restart it. Even if there is no new update, its quite advisable to restart or shut down a hibernated PC so that everything refreshes properly and another hibernation period is ready to begin. I hope you now know that a Computer doesn't automatically damage itself as some people always say, rather, hibernation is a quick and convenient way to turn off a Computer without closing all the applications for faster access later.